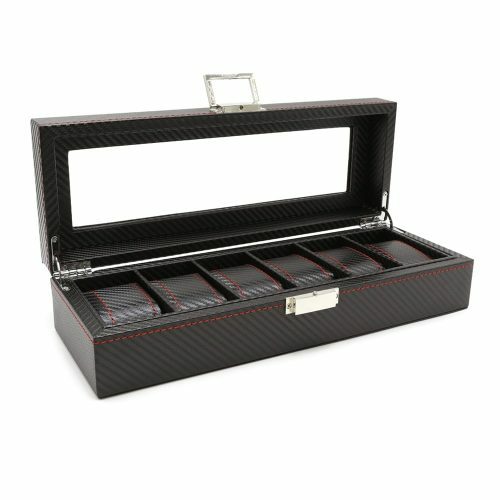 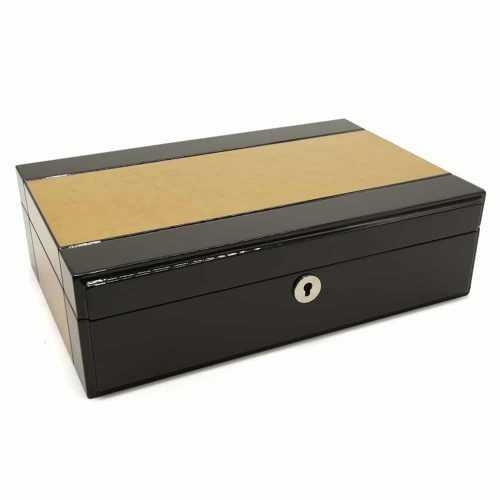 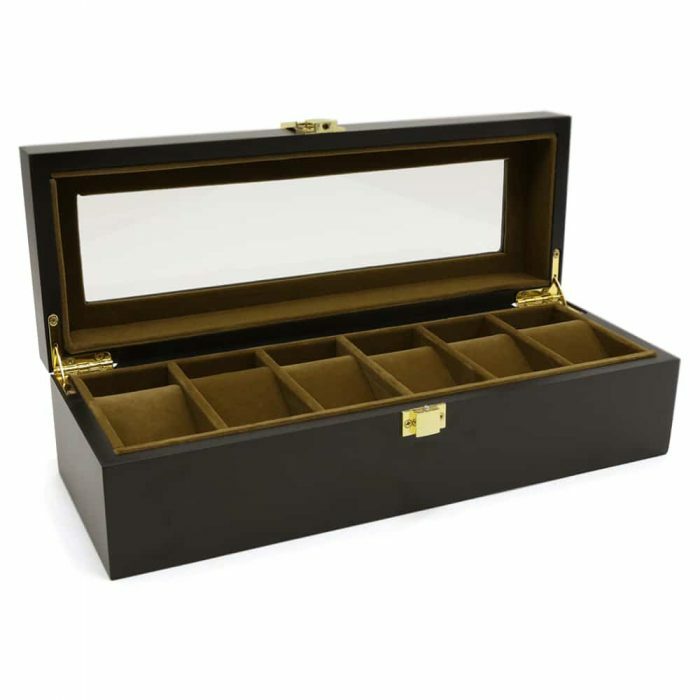 Keep your collection of watches dust-free with this European 6 Slot Watch Box Black. 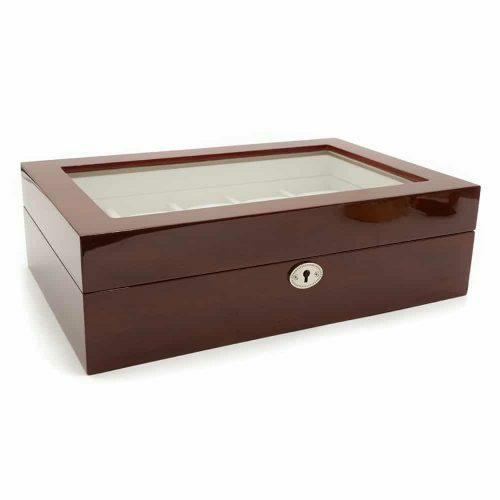 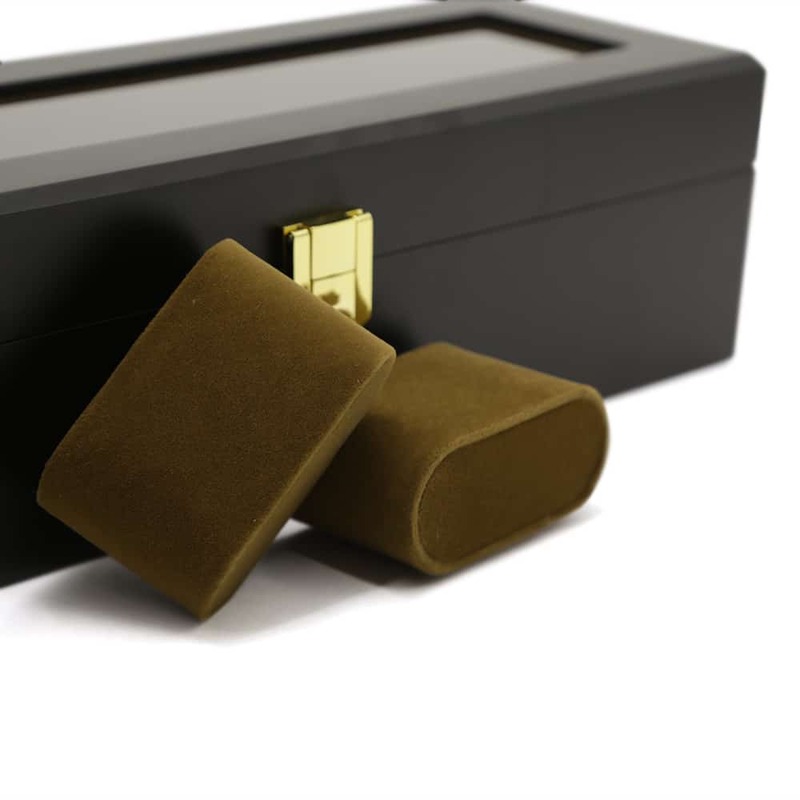 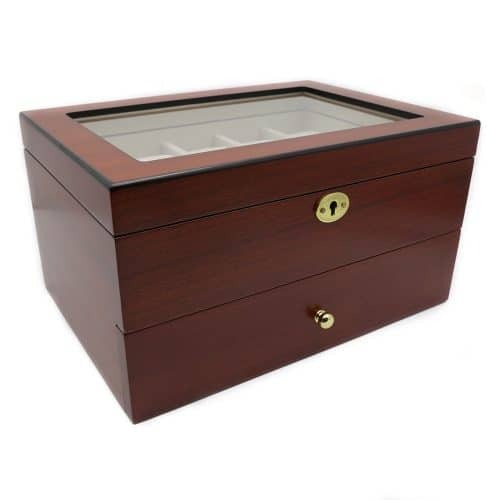 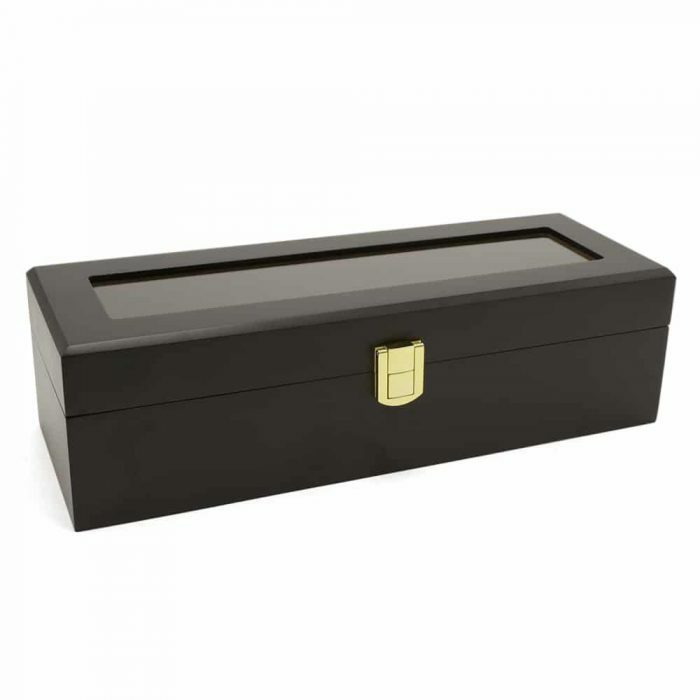 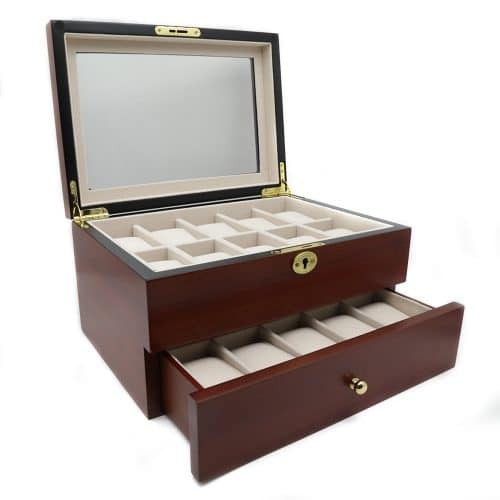 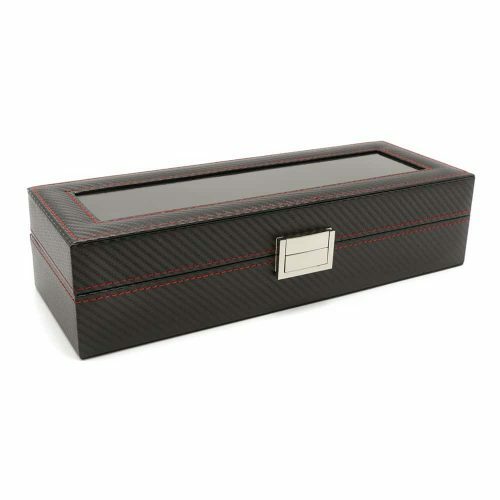 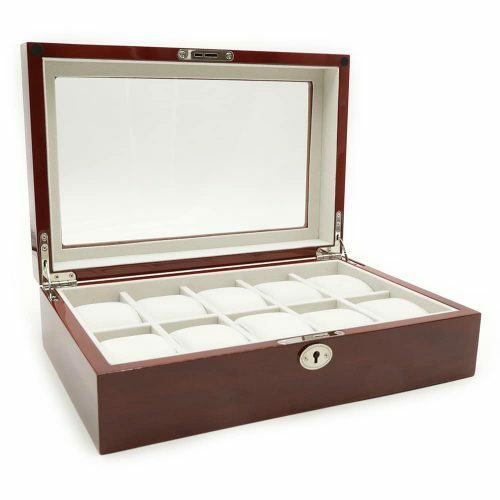 This beautiful wooden watch box comes in black with a beautiful soft brown velvet interior. 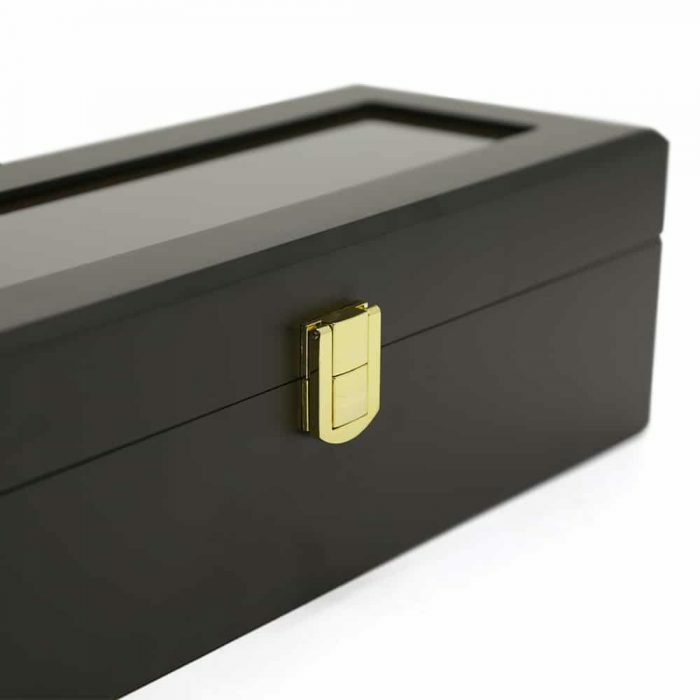 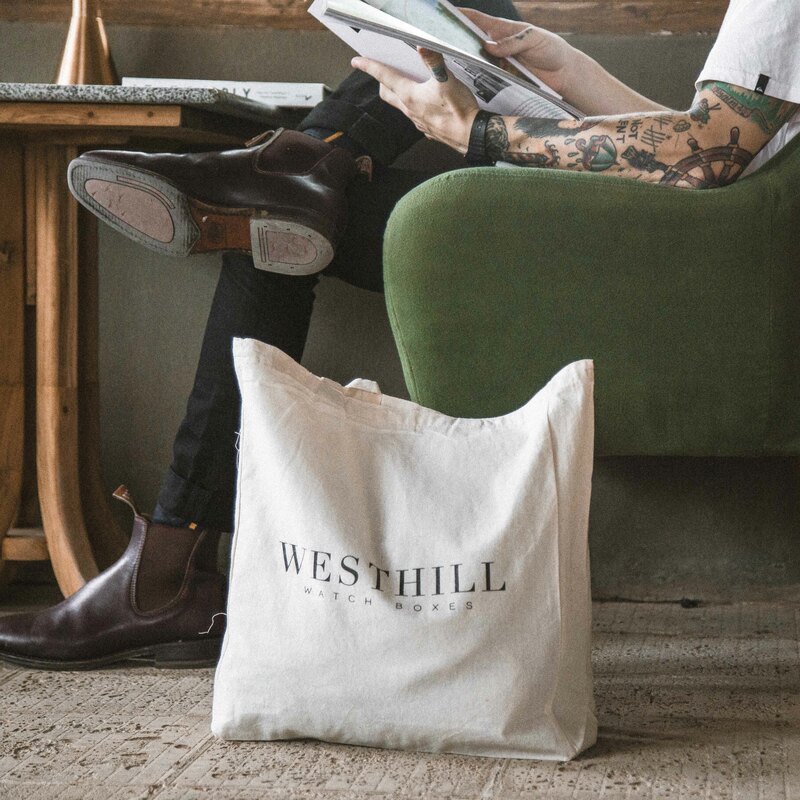 The lid has a transparent panel allowing you to easily view your collection. 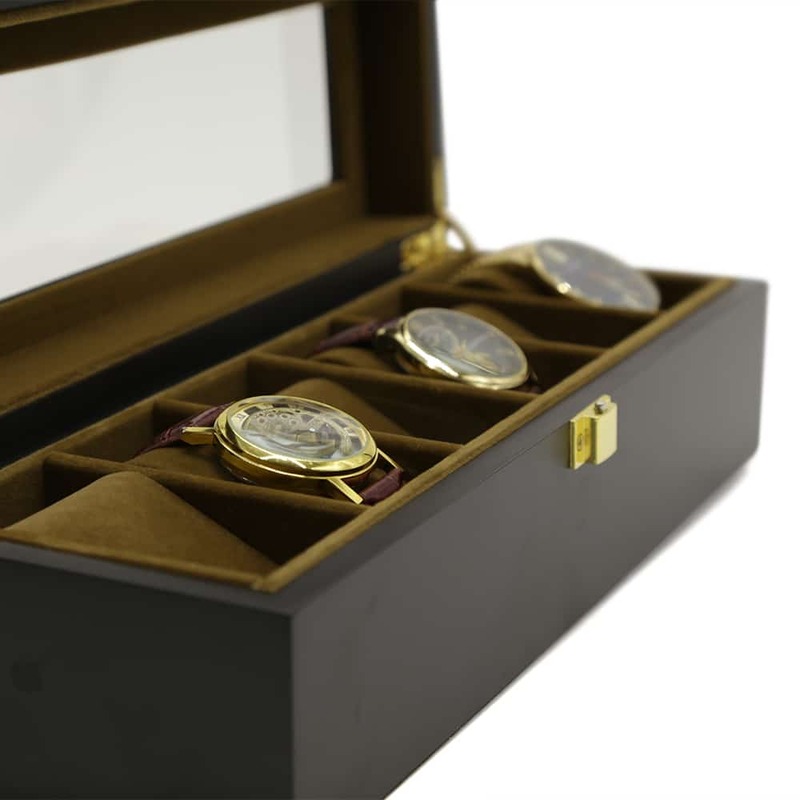 It also comes with a golden front latch to ensure your watches are safe and scratch-free.